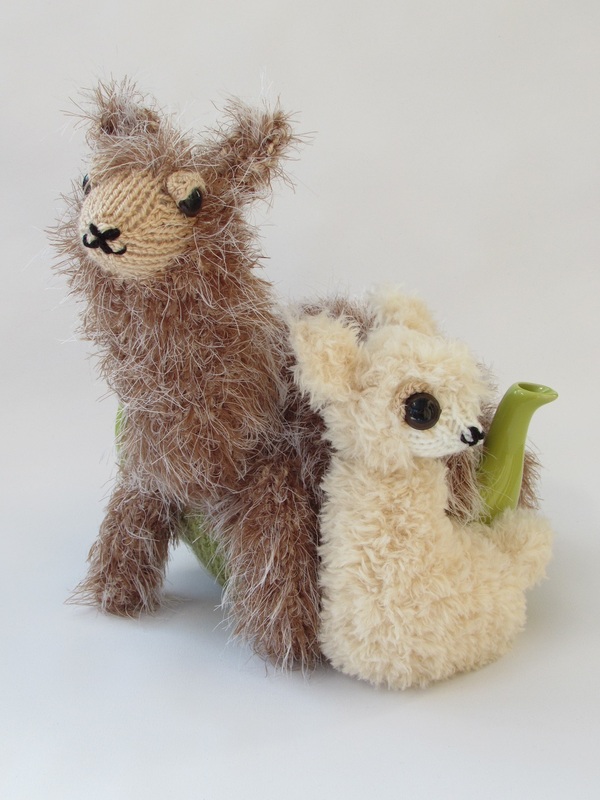 Aren't alpacas adorable? 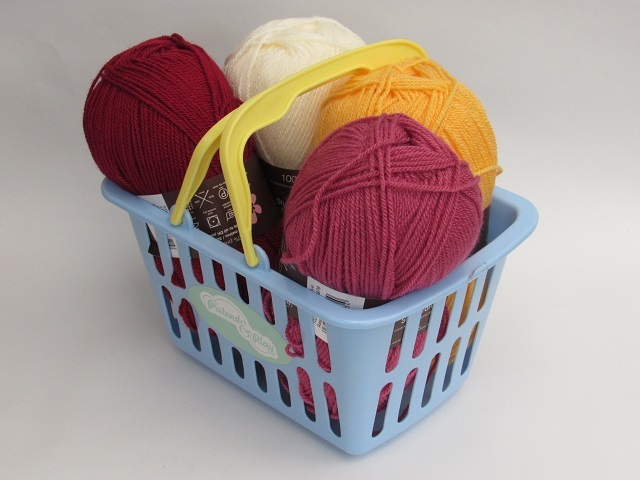 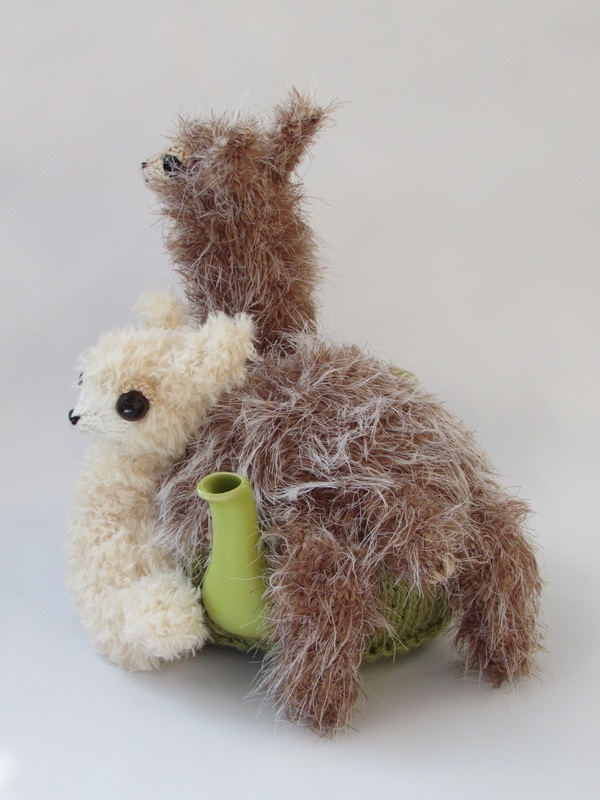 alpacas are becoming a more regular sight in the countryside and alpaca wool becomes more popular. 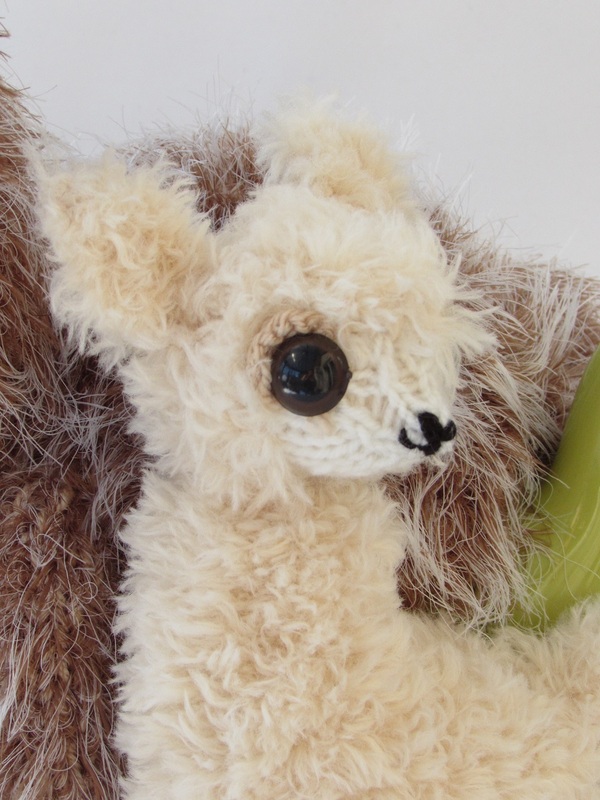 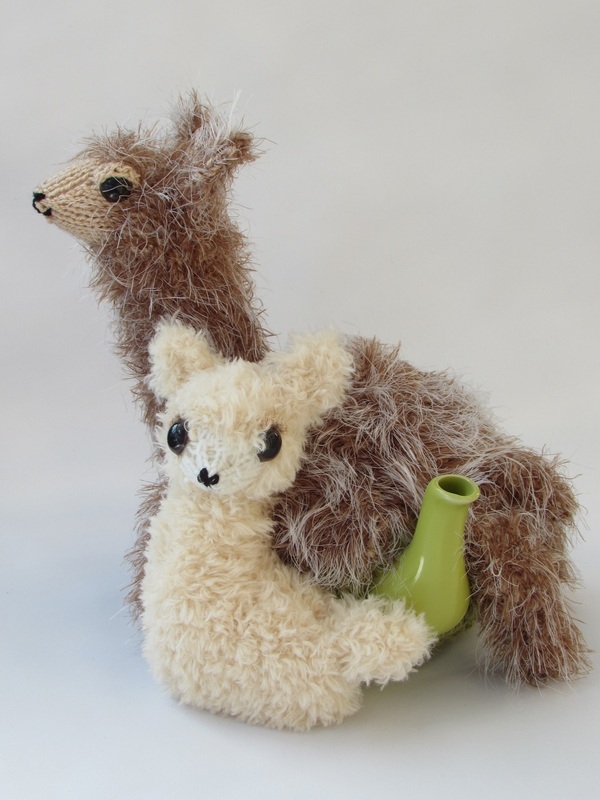 Such cute faces and big personalities, and that's what inspired me to design an alpaca and baby tea cosy. 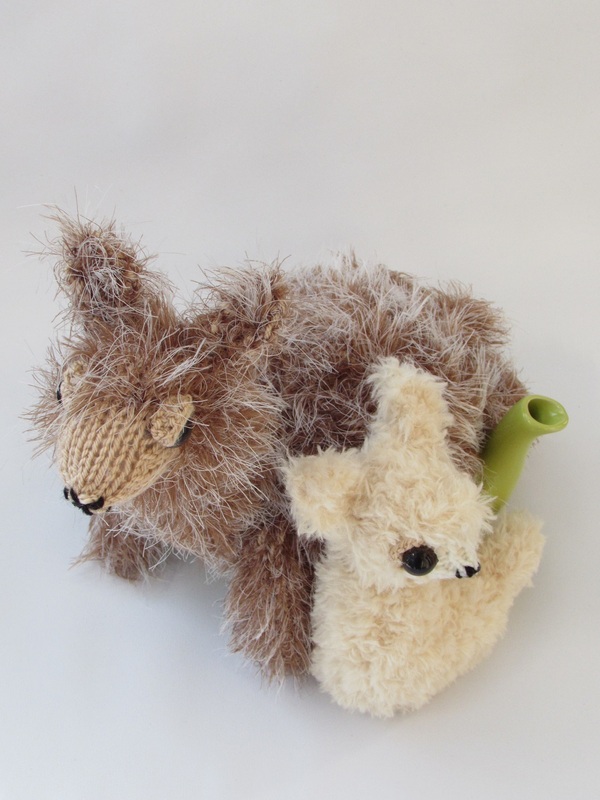 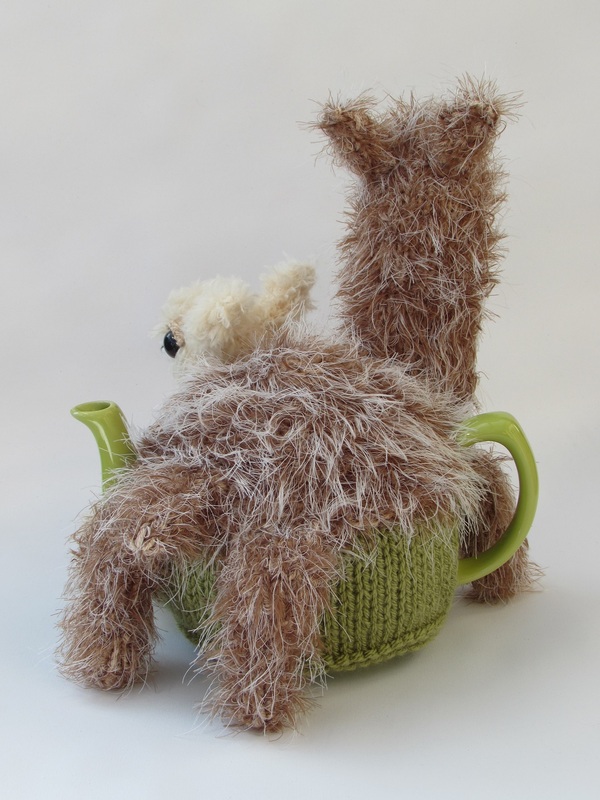 The tea cosy depicts a mother alpaca who is stood in a field keeping a look out, whilst her baby lays on the ground beside her to rest. 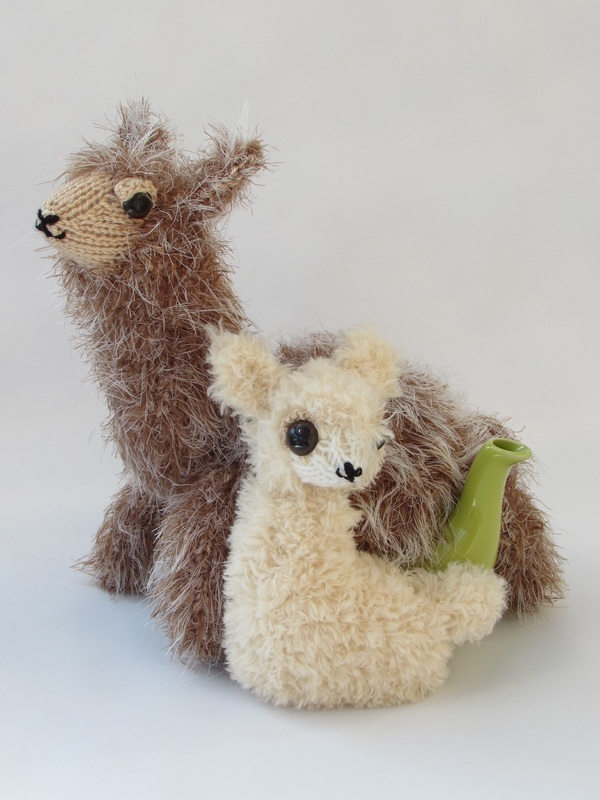 The alpacas are made from two different kinda of textured yarn, the mother has a hairy coat, whilst the baby with its new fresh wool has a woollier coat, which gives it a really cute appearance. 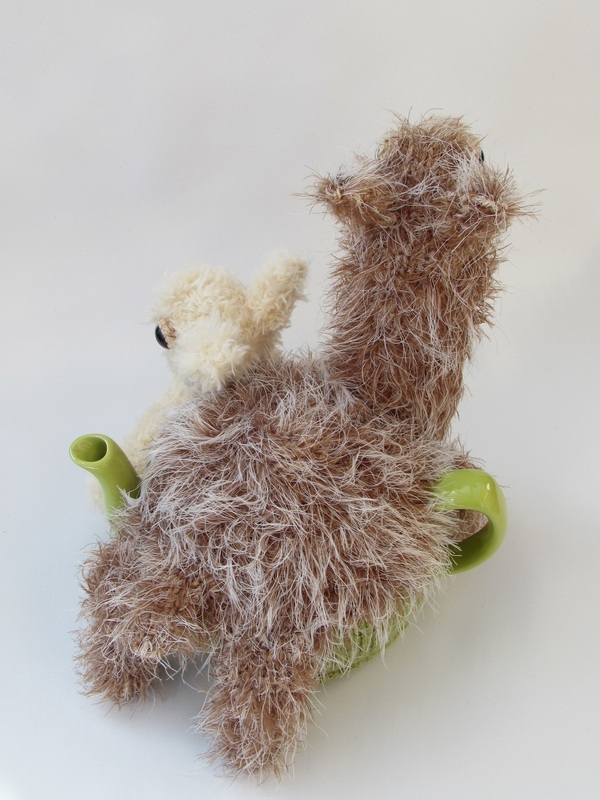 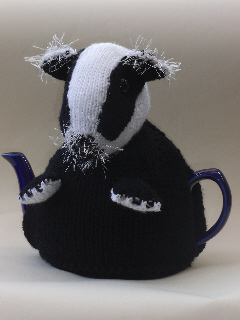 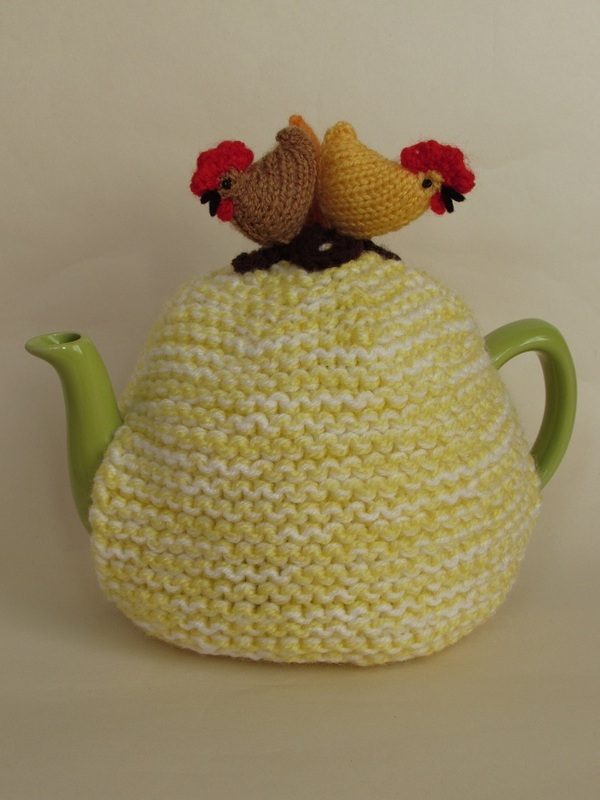 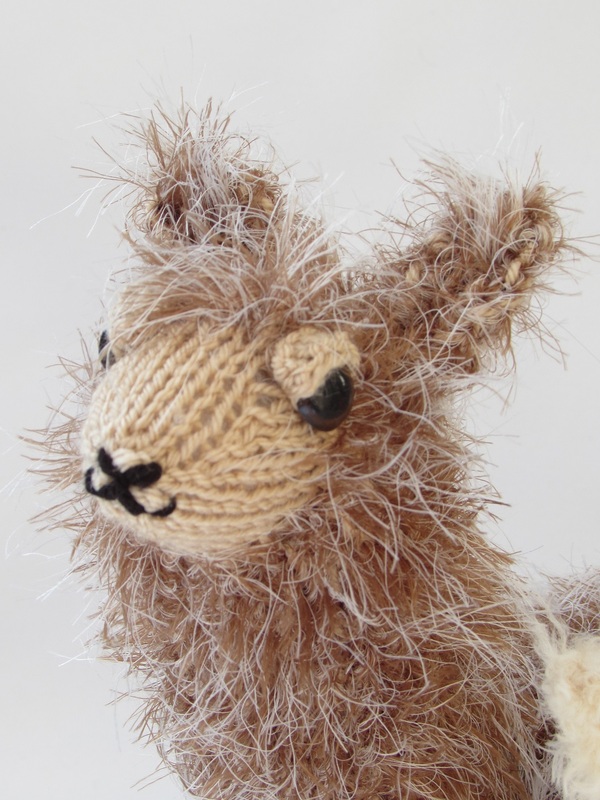 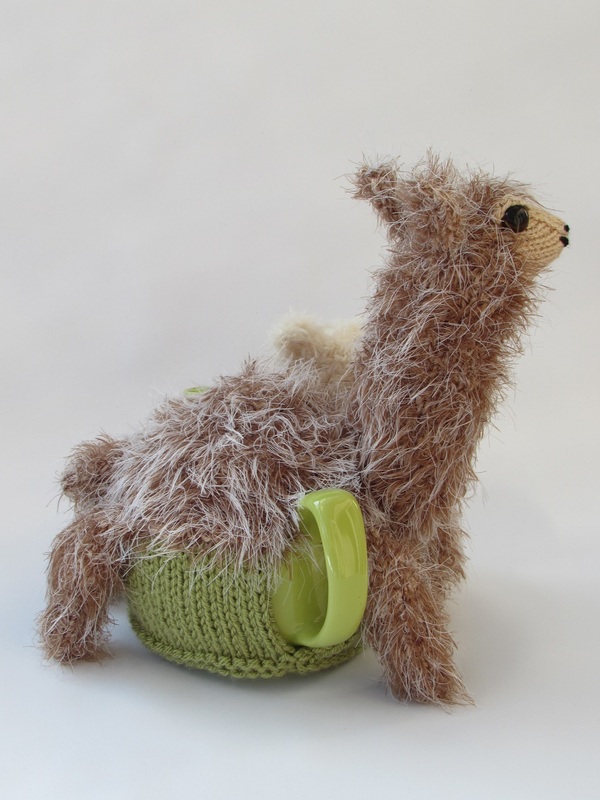 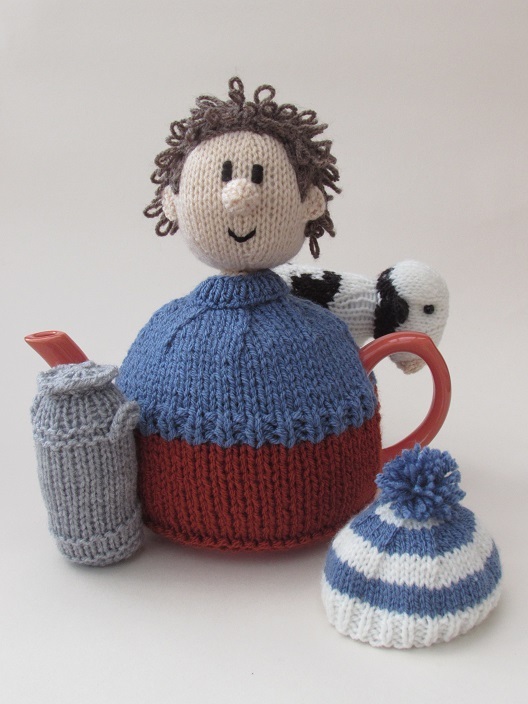 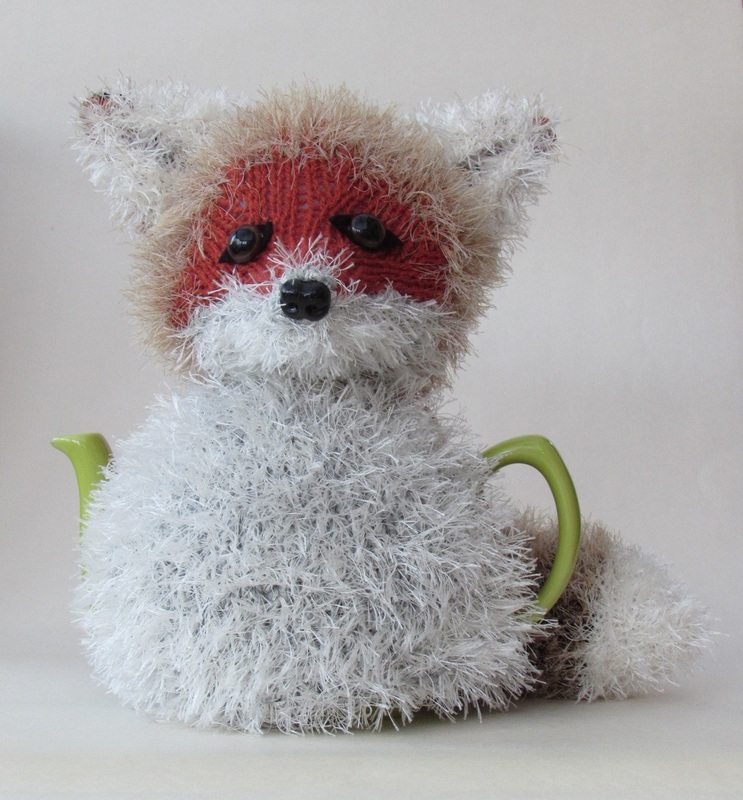 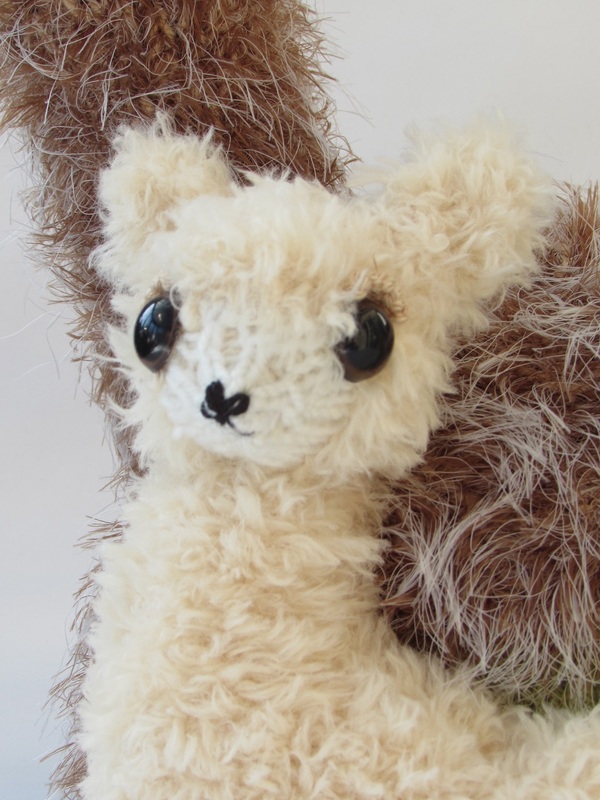 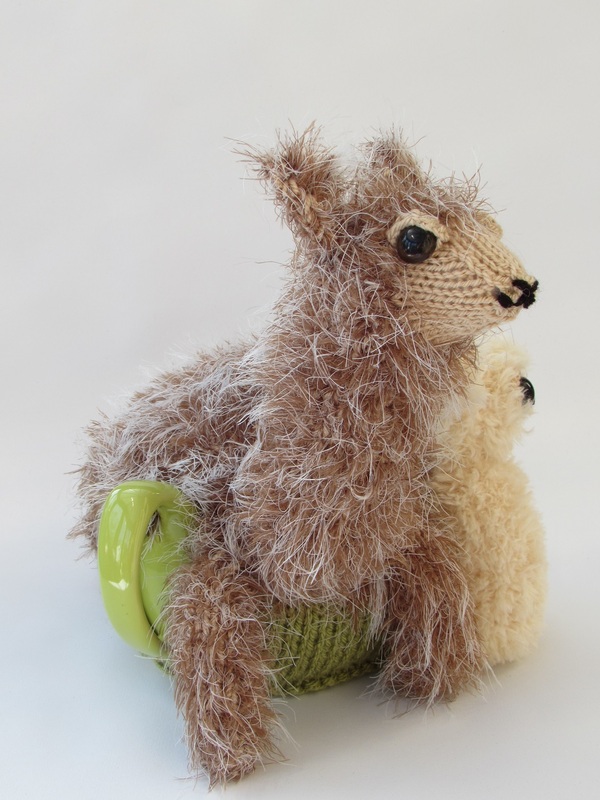 The alpaca tea cosy is made to look like and not made of alpaca.